When working in 3D – basic operations like line, plane and cylinder fitters are extremely important functions. 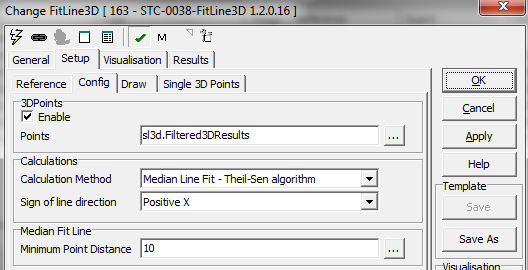 Based on Scorpion Vision unique component technology we have upgraded the STC-0038-FitLine3D with the option to do a very robust 3D line fit. The sample is a 3D stereo vision system where we show how you can pick pipes from a storage. 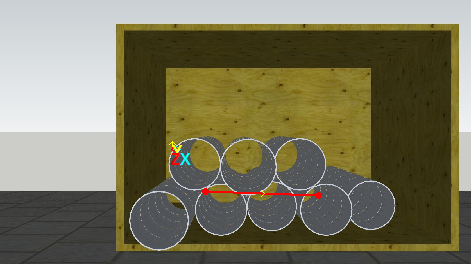 We do a linefit using the eight 3D points that are the center of the pipes using the OpenCV algorithm. The robust line fit evaluate the incoming 3D points and based on a median fit assumptions it removes the outliers – in this sample it concludes the three upper points is not part of the line – which is a good conclusion. There is also a 2D version of this algorithm implemented as a Scorpion Tool Component – STC-0040 FitLine2D. This component can be used to locate a line in a noisy environment. A large range of Scorpion Tool Components are available to Scorpion Vision Partners and users holding a Scorpion Vision SDK Licence.